Simple yet funny. 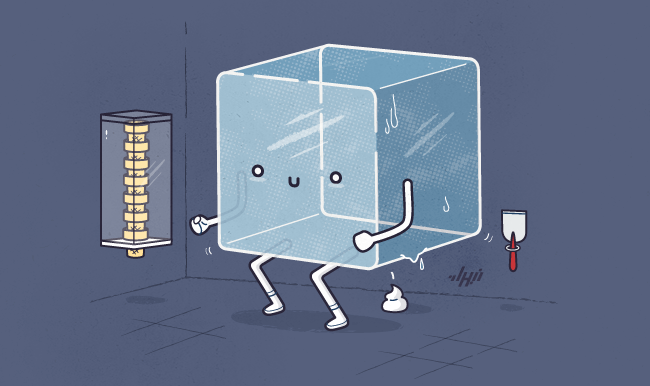 This is how his thousands of online followers describe the unique illustrations of Nabhan Abdullatif also known as “NaBhan” in his DeviantART portfolio. The professional digital artist from Oman just made our they when we stumbled upon his gallery of conceptual illustrations full of puns and cute characters. Done using Illustrator, his creations are characterized by flat, minimal colors and shapes. On top of that is his level of creativity in translating normal expressions, popular phrases and concepts into brilliant yet simple compositions. See some of them below and we’re sure enough they will brighten up your day! Aren’t they cute and amazing? Head over his DeviantArt gallery or Facebook fore more of his awesome illustrations. Tell us which ones are your favorites in the comments below!